Delicious murungaikkai sambar, I couldn't get the fresh one here. My favorite sambar, looks superb..
Sambar looks delicious.. I like drumsticks in sambar. Lovely pics dear and the sambar looks delicious. The color is perfect, mine turns dark color. What sambar powder do you use? Thanks Nithya. I use Brahmins brand sambar powder. Love murungaikkai sambar with idli and dosa.. 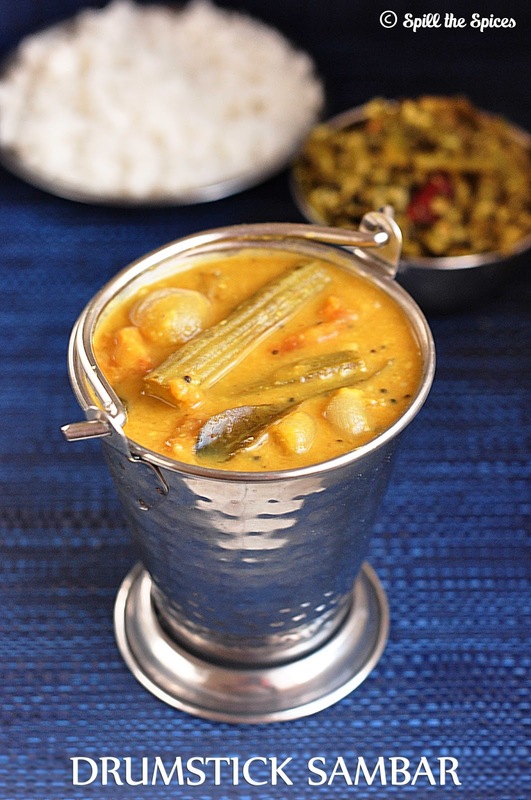 Delicious and tasty sambar.. 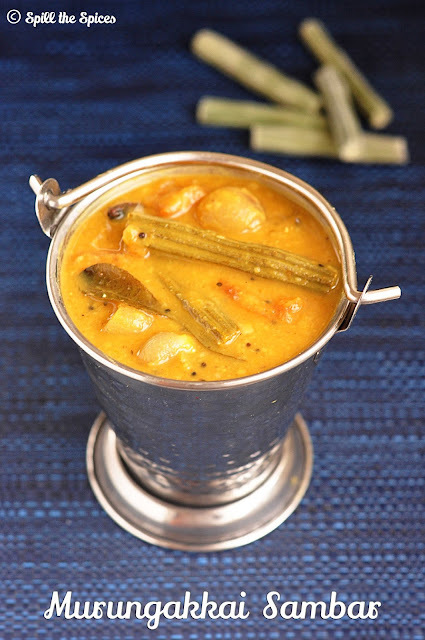 I love drumstick sambar.. it really gives a nice taste to the curries and dals.. Miss it a lot as we don't get it here. All time comforting sambar!! Looks yumm!! Drumsticks are so healthy for you. I tend to buy them fresh, wash and cut into small pieces and then freeze them to use in dalls. This sambhar with drumsticks and tamarind must be so tasty. 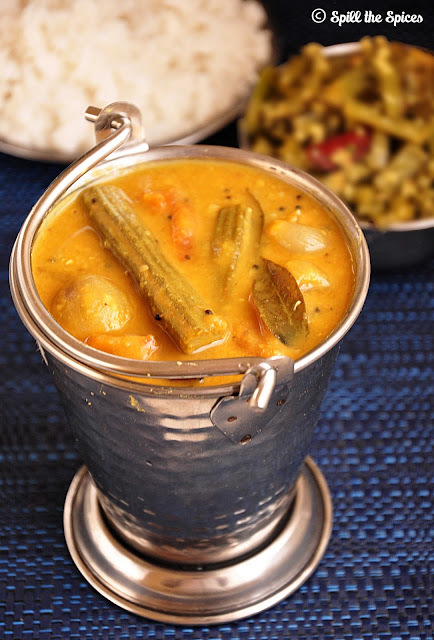 I love the little bucket you have served your sambhar in. Love the blue bg and the sambar looks appetizing and delicious dear..
Like the drumstick flavour in any Sambar. Yours looks so nice and appetizing.